Nestled at the intersection of Corpus Christi and Nueces bays is a place of charming coastal tranquility tailor-made for nature lovers and outdoor adventurers. Watch gentle waves roll onto quiet grassy shores. Let the soft sea breeze caress your skin as you stand on the end of a long wooden fishing pier. Kayak a coastal lake and spot rare migratory birds in a scenic nature preserve. All of these experiences await when you visit Portland, a family-friendly town with a relaxed vibe situated a few minutes north of Corpus Christi. With its abundant Gulf Coast allure, Portland offers an endless number of ways to enjoy the Gulf Coast. It’s location at the convergence of two bays makes it one of the best places to go fishing in the region, particularly in the winter when the waters are teeming with black drum. Portland’s most prominent angling spot is the Indian Point Fishing Park and Pier. Cast a line from here day or night as the pier is lighted and open 24 hours. Look south for a stunning view of downtown Corpus Christi and the USS LEXINGTON as you kick back and wait for something to bite. 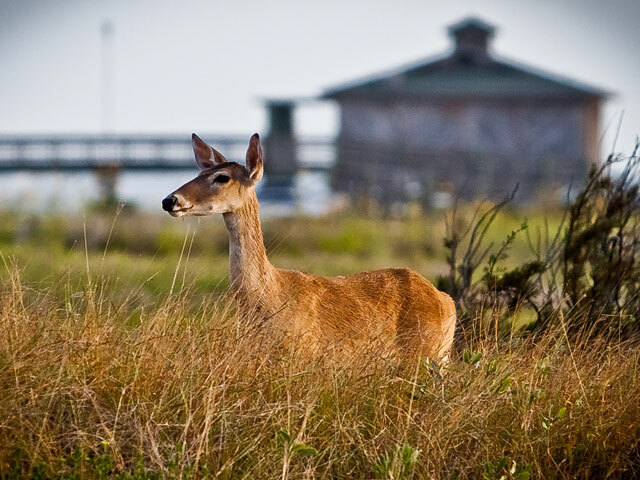 The pier sits just south of Sunset Lake Park, a 333-acre ecologically rich area that spans wetlands and a saltwater lake. Kayak or canoe the scenic waterways, fish from the shoreline, and hike or bike the paved-two mile trial that provides a fantastic vantage point for birding. In fact, the park sits within the Corpus Christi Bay Loop of the Great Texas Coastal Birding Trail, an area frequented by migratory birds and home to shorebirds like loons, grebes, and diving ducks. Speaking of birding, Portland is not far from a true hidden treasure, the Fred Jones Nature Sanctuary. This nine-acre oasis of native vegetation sits among a sea of farmland, providing a crucial habitat for local and migratory birds. Take your time exploring the sanctuary’s secluded trails and you just may spot a few, such as warblers, vireos, orioles, and other songbirds during migration season. All of this will surely keep you busy, but there’s more. 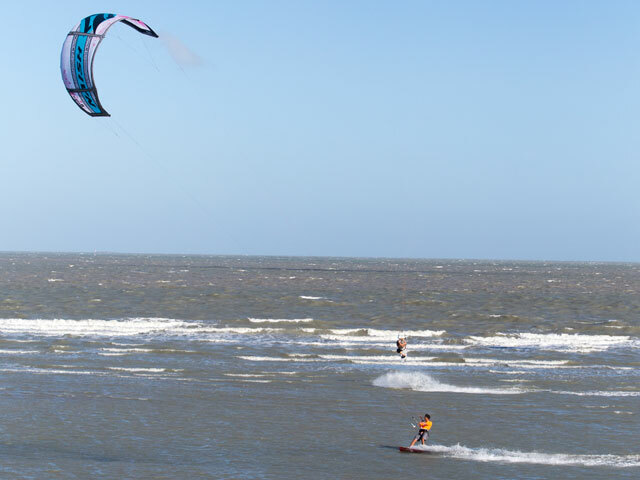 If you’re a kiteboarding enthusiast, find your way to Violet Andrews Park. With its narrow beach and constant winds, the park is one of the best spots for enjoying the sport. Not far from that is the NorthShore Country Club, home to an 18-hole links-style golf course with four breathtaking holes placed along the shoreline of Corpus Christi Bay. Portland also has a skate park and an aquatic center with a heated lap pool and a recreational pool perfect for a fun afternoon swim with your family. Need to get a workout in? Visit the Portland Community Center, a public gym with cardio equipment, weight machines, everything else you need to work up a sweat. In addition to all of its natural wonders, Portland’s location can’t be beat. Staying here puts you just a short (and spectacular) drive away from Corpus Christi’s major attractions, such as the Texas State Aquarium, North Shore, The Art Museum of South Texas, and Hurricane Alley Waterpark. Not only that, you’re less than an hour away from the sun-kissed beaches of Mustang Island and Port Aransas. Whether you have a craving to get outside or you’re looking for the perfect destination for your next family getaway, plan your next vacation to Portland.